The 90s was a great decade full of fun movies, great shows, and everything your remember (if you grew up in the decade.) These fun facts will provide you more nostalgia to enjoy and reminisce about. Napster launched in 1999, and it only took two years for it to have over 26 million users. After AOL launched in 1997, it gained over 53 million users in the next 10 years. In 1994, 61 million people were using pagers. The popular shoes Doc Martens were invented by Claus Martens after a ski accident. He needed a good-low impact shoe and these were it. The most fun jewelry of the 90s was the slap bracelet. The inventor of the slap bracelet was a shop teacher who was playing with steel ribbons. PowerPoint is associated with Microsoft Office but it was originally intended for Macs. *NSYNC’s name was thought up by Justin Timberlake’s mom. It’s the last letter of each band members name. Pretty cool, huh? The other boy band of the time was named after something entirely different. Strange enough, The Backstreet Boys was named after a flea market in Orlando, named the Backstreet Market. eBay wasn’t always called that. It was first known as the AuctionWeb. 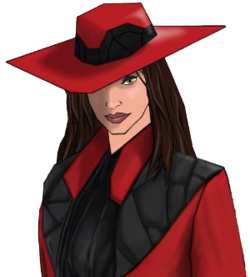 Carmen Sandiego has a middle name, Isabella. We know her name, but do we know where she is? People sold Tickle Me Elmo online in 1997 for the bargain price of $1,500. Saved by the Bell was a show that started in a different place and with a different name than we now know it. It was originally called Good Morning, Miss Bliss and took place in Indianapolis. The Hummer was released in 1992 and weighed 8 tons (10,000 pounds.) It got a mere 10 miles to the gallon at that time. The toy Bop It was inspired by two others toys; Simon and Whack-a-Mole. Remember Hanson? Did you know they had their own beer brand? It was called mmmHops. Destiny Child was called something else when it first came out, too. It was called Girls Tyme. All these fun facts and it just touches the tip of all that was awesome in the 90s. What is your favorite 90s memory?